All this tunnel vision emphasis on minutae just serves to fool people into thinking that something other than 'busy work' is being accomplished. The coriums have in all likelihood melted through the primary and secondary containment vessels and have been fizzing away in the bedrock and groundwater under the plant. 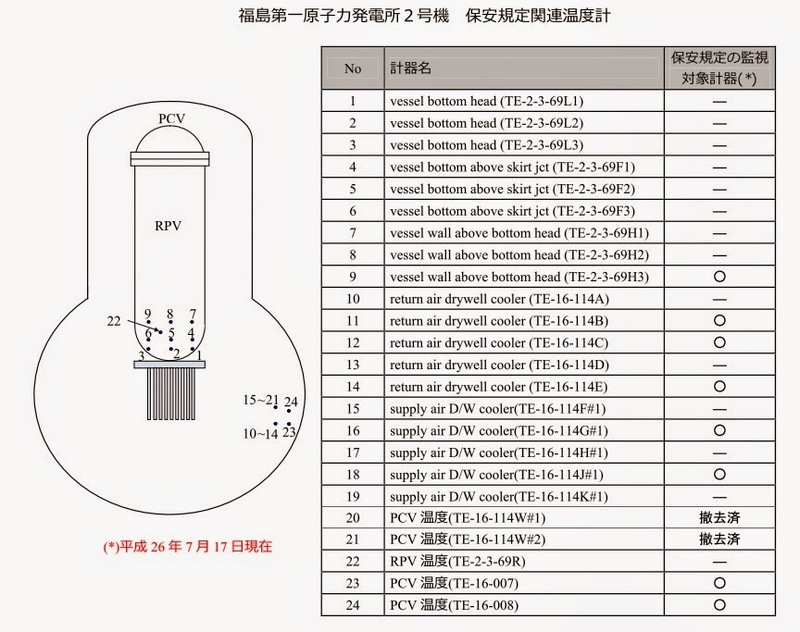 Whatever measurements that can be obtained from inside the PCV's of units one to three are going to be pretty much useless except to indicate how many hundreds of years it will twke before human workers will be able to work in those areas. How many decades will it take to reach acceptance - how many children will have to suffer the effects of radiation poisoning before Japan wakes up? If you look at TEPCO's roadmap, you can see that they very well ARE looking at the big picture. That doesn't mean, however, that one can ignore the "little" things (although temperature in the containment vessel is actually a pretty big thing in and of itself). And besides, remember how to eat an elephant? The "one bite at a time" has probably never been more applicable than it is to approaching the big mess at Fukushima. Tepco's road map is unfortunately an optimistic fiction - always has been, and probably always will. 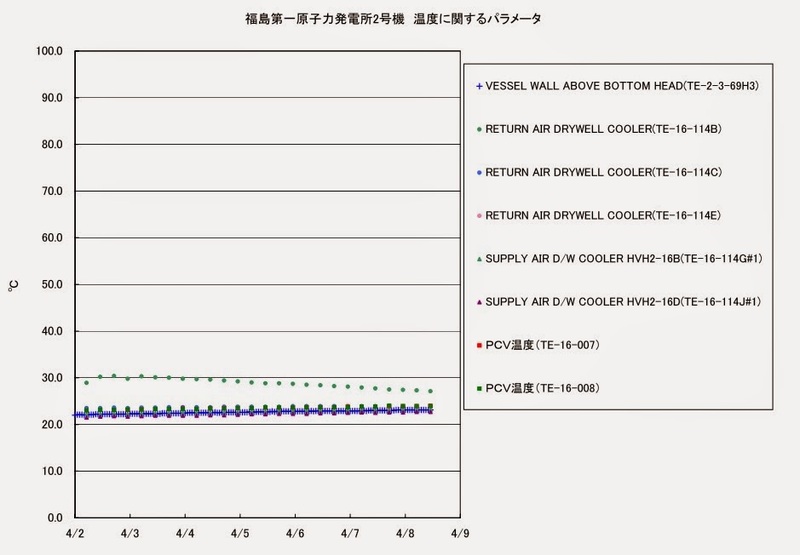 Question: How does TEPCO get rid of hundreds of thousands of tons of contaminates? Tepco have been proven time and time again to be inveterate liars. How anyone could continue trust Tepco's ' big picture road map' is beyond me. Griping about the liars at Tepco and decommissioning the plants are two different things. One of them must be undertaken. The other is pointless. Oh so you're content that the decommissioning of the plants will happen in a couple of hundred years because Tepco and JP govt says it will happen. I suppose you're happy to eat Fukushima, rice, beg and fish because the govt says it is safe. How about moving back into the exclusion zone like the govt wants you to do? This isn't about griping, it's about short and long term known and unknown hazards, which, if tepco and JP govt have their way, will be denied until the bitter end. Decommissioning??? Not in your or my lifetimes. There is no possibility of discussion with someone who will trot out the very tired, "if its so safe why don't you just move there?" canard. 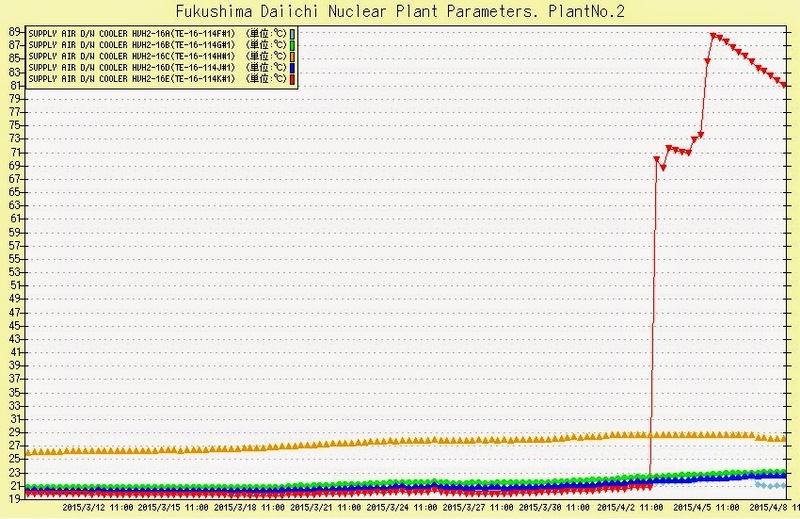 i guess discussion is what happened when Tepco decided to deny for months that the reactors had completely melted down. Discussion is what happened when JP govt decided not to release SPEEDI data. Is this the sort of 'discussion' you are seeking? It's not possible to hold a meaningful discussion with an inveterate liar. 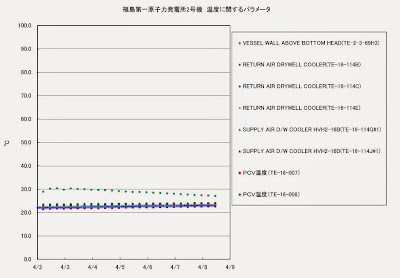 Thermocouple readings "does not affect the control of the reactor"..really? WHAT control??? And TEPCO is investigating? Really? Good job SKF, know you are busy with real funded work, but your reports are important! 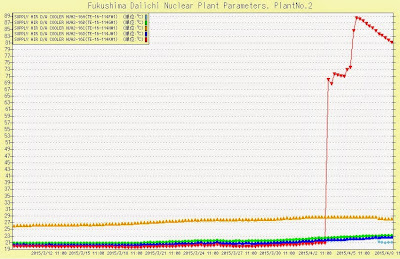 The reactors are still fissioning. the melted 100ton REACTOR cores have correct geometry, enough neutron emitters "plutonium" and enough mass to fission. There are NO CONTROL RODS, so you and everyone else who thinks ANYBODY HAS CONTROL can shove it. Japan has to decontaminate because their mainland is the size of california, they have no choice 'else that land is unusable. The problem with decontamination is there are many AND THE REACTORS HAVE TO STOP RELEASING RADIONUCLEIDES "sealed like new, with control, and not fissioning"
It's cheaper not to decontaminate "by not having nuclear plants blow up in the first place". Decontamination of radionucleides is maximum 30% effective on smooth hard surfaces less on porous/rough surfaces and on land the dirt will be trucked away/tilled or covered over which is all dumb as opposed to not having 100 ton nuclear cores meltdown. Also japan is keeping the reactors/fuel wet and at least 400 tons of that water per day has been admitted to going into the ocean. They keep the reactors wet in hopes of not having the reactors release airborne fallout but waterborn is more palatable to japan I guess. Water increases neutron absorbtion in the fuel, helping fission, boric acid etc is being used massively to hinder that In my opinion. Keeping the reactors wet is dangerous especially without boron a neutron poison. Will japan run out of boron? I think so. 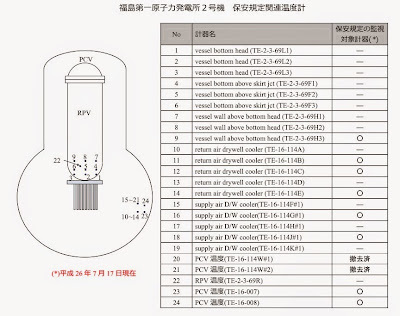 BTW ALL NUMBERS FROM TEPCO/JAPANESE GOVT HAVE BEEN PROOOOOOOOOOOOOOOOOOOOOOOOOOOOVEN!!!!! TO BE LIES! So rad levels, geiger readings, fallout contaminated areas, where the fuel is, thyroid/other nuclear related cancers/health effects/cases etcetera etcetera can all be taken as seriously as toilet paper. Truth can save lives. BIT LATE FOR THAT NOW EH????? Thanks for that erudite commentary Mr Dickspray. Anyone who thinks the fuel is still fissioning is a moron. Anyone who thinks the reactor cores are in any kind of geometry to sustain fission is a double-moron. And anyone who thinks the water going into the reactors is facilitating the fission is too stupid for the word moron. Words cant explain my gratitude to David Benjamin blank card company for helping me purchase the card which i have sought for years from other companies and have been scammed of my money. I saw a post by Clara and i took his email from there and also in less than 3 days i got my already programmed card at an affordable price and it was conveniently delivered no extra charges no stories told. If you wish to contact this company then davidbenjaminltd@outlook.com is the address and i assure you of qualified services. getting experience everyday by reading such good posts.